Paul Javal (Michel Piccoli, Belle de Jour) is hired by an American producer Prokosch (Jack Palance, The Big Knife, City Slickers) to commercialize director Fritz Lang's adaptation of The Odyssey, about to begin shooting in Rome. Whilst Javal is attempting the rewrite in Capri, his wife Camille (Brigitte Bardot, Et Dieu... créa la femme) spends an unexplained hour in the company of Prokosch, possibly at the behest of her husband, although this is never made clear. This sets off an argument between the couple that reveals deeper problems within the marriage and the contempt Camille feels for her husband. 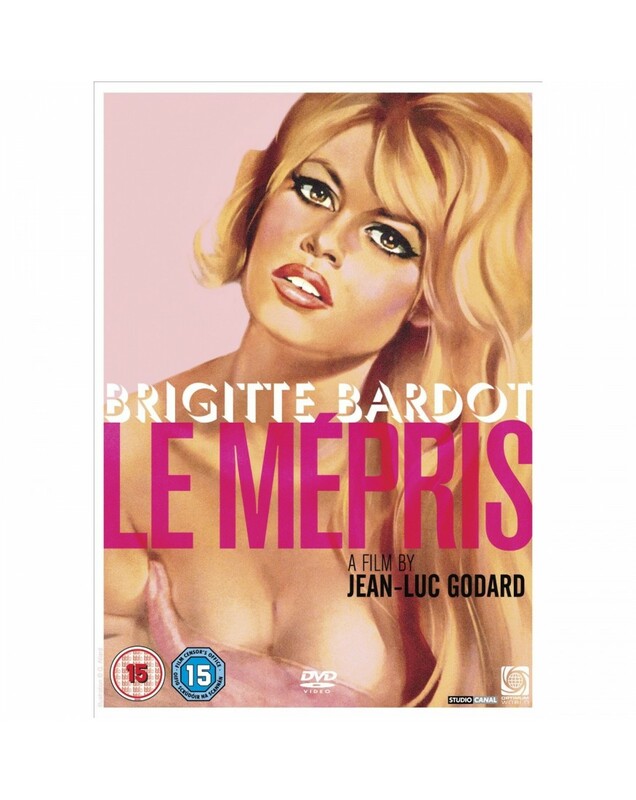 Le Mépris is one of Jean-Luc Godard's most lauded films. The legendary French director is considered cinema's original enfant terrible, one of the leaders of the French New Wave, a key influence on the American cinema of the 1970s and one of the few true auteurs still making movies.